Some advice about proper hair washing. We often forget about it and we treat washing with neglect, that is we do it quickly and carelessly. However, it turns out that good condition of our hair depends also on how we wash it. always before washing brush your hair out. Rub the shampoo in your hands and massage in the scalp. The foam flowing down will wash your hair well enough. do not brush your hair before washing if you use lots of styling agents, such as hair spray, foam or paste. If that’s the case, brushing will result in breaking hairs and pulling them out. It regards mainly damaged hair. 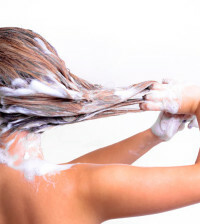 while washing you hair do not scrub it strongly or scratch with your fingernails. It irritates the scalp. always choose a shampoo adequately for your hair type and for the problem you have with it. 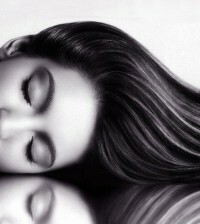 a shampoo that foams a lot is not good, because it dries the scalp and hair too much. hair should be rinsed long and thoroughly. Poorly rinsed hair is heavy and flopped. rinse your hair with cool water, thanks to this a hair’s scales will close and the hair will be shiny and smooth. after washing dry your hair with a towel wrapped into a turban. NEVER RUB your hair. 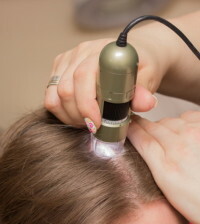 How to perform a daily hair care for sensitive scalps? What is the cause of telogen effluvium and what’s the treatment of this disease? When you really should use hair mask! Cosmetic devices that are worth to have in the hair salon. How to choose hair color to your beauty?